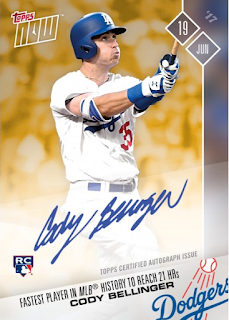 Cody Belling just keeps breaking records, and as long as he continues Topps will be sure to commemorate it. In fact, since he joined the Dodgers Topps has issued eight different 2017 Topps Now cards that include him -- which has got to be some kind of record in itself. 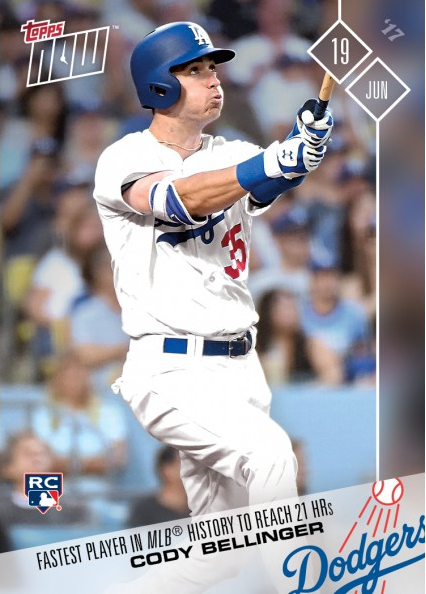 Well, now there are nine Topps Now cards. 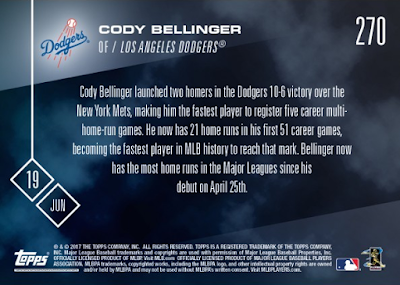 Cody Bellinger launched two home runs in the Dodgers 10-6 victory over the New York Mets, making him the fastest player to register five career multi-home-run games. He now has 21 home runs in his first 51 career games, becoming the fastest player in MLB history to reach that mark. Bellinger now has the most home runs in the Major Leagues since his debut on April 25th. UPDATE: the total print run for the above Alex Wood card is 3,525 copies. Below is a look at the five different certified autographed Cody Bellinger cards - now sold out - paired with the corresponding card numbers and sale prices. Go here to check them out and order. 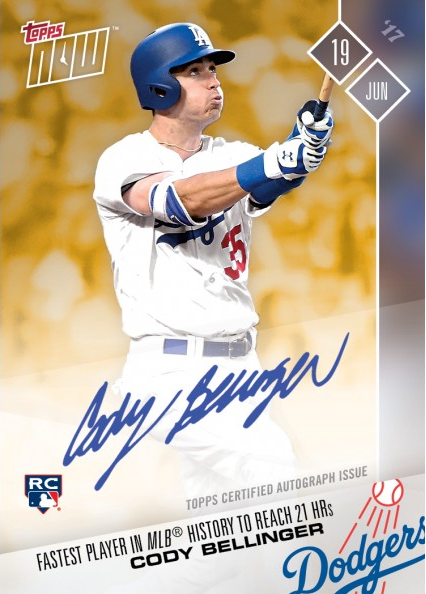 I should note that this is the second time this season that autographed versions of Bellinger's card are available from Topps. Go here to check those cards released in late-May. 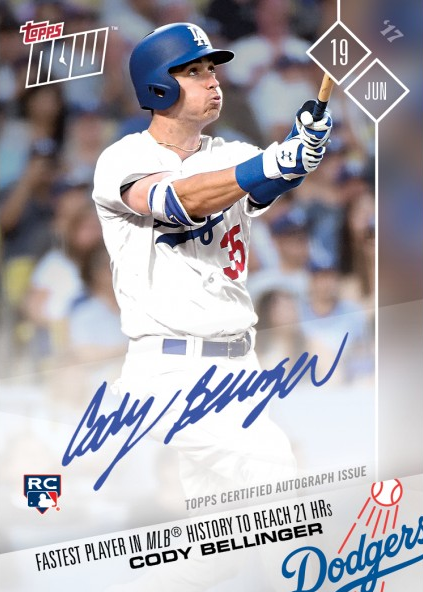 BTW, you will notice that Topps has significantly increased the prices for these new autographed cards, and they still sold out in quick order.